A selection of baskets either for play, sleeping in, or to help keep a child's room tidy. Willow can be washed ! Children, especially babies, are prone to accidents. If your child manages to make a mess in or on one of these baskets, my recommendation is to wash it (hosing with cold water will work for most things) and leave it outside to dry. 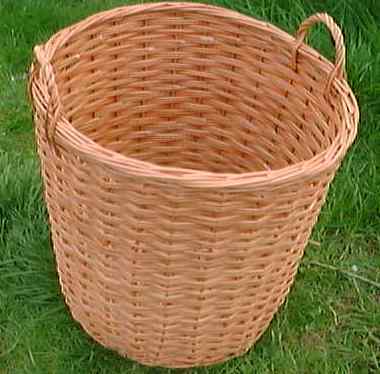 When the basket has dried completely, take it back indoors. Just like Mummy's, but small and light for children to carry. Full size ones are here. 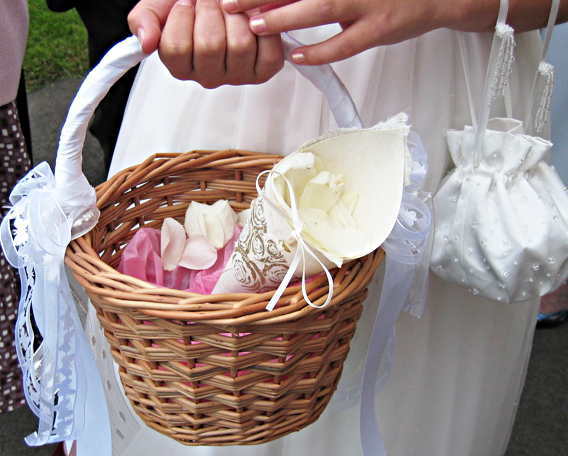 Or you can view one of a set of baskets used by bridesmaids at a wedding. A D shaped basket just like an adults size, but small for a child's bike. 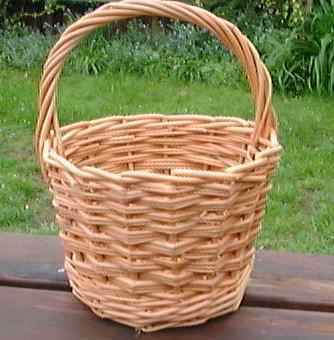 The sides of the basket angle outwards. 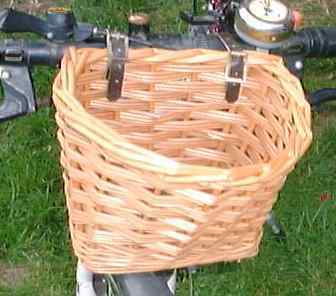 There is an example of one of these baskets fitted to a child's bike. 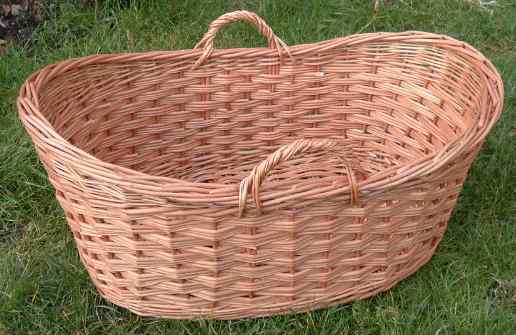 These baskets can be ordered online. Other bike baskets are also available, click here for more bicycle baskets including adult sizes. You may also be interested to know that I've put together a page describing how to teach a child (or an adult) to cycle. Sized to accomodate baby dolls. 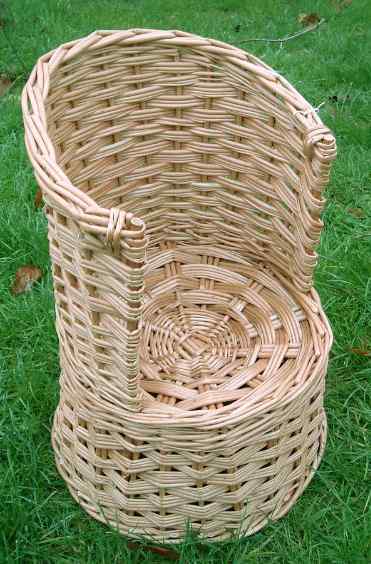 If you have a particular doll in mind, let me have the dimensions and I can make a basket which will definitely fit. These are available in a variety of sizes, or specify your own size. 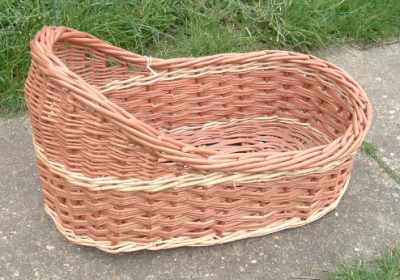 I can also make rectangular baskets as seen here. 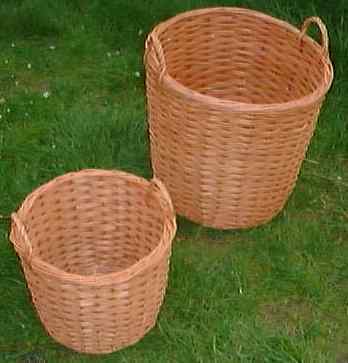 These baskets are shaped so that the top of the basket is larger than the base. 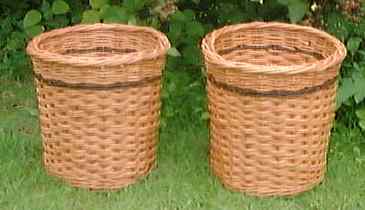 The base size and heights given are quite accurate, but the top diameter is an approximation (measured on actual baskets). The three shown at the top each have a different pattern in the weave, as you'll see if you look at the larger photo. 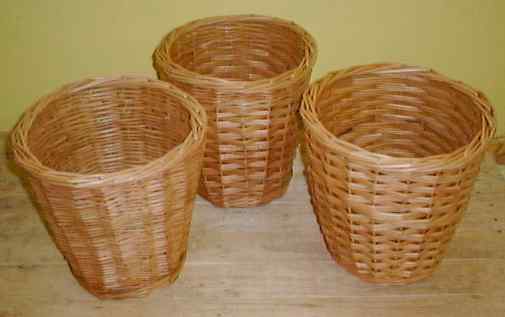 The bottom two are a matching pair of larger baskets made for one client. A small chair to suit children up to about 4 years old. Larger chairs (including for adults) available on request.